… So not long after my waking news of England’s doom was announced. Rain threatened but did not materialise. If it had it would have been a travesty as Australia was the better side. 3-0 and the Ashes was resoundingly won by Australia and all that remains is to see if they can make it a 5-0 whitewash and see what positives England can take from what for them is a disappointing series. There is no doubt that while England had their moments they were generally outplayed throughout the series. The fact that Australia had three bowlers who could bowl seriously fast under conditions that suited them better than the English, an outstanding batsman in Steve Smith, well supported by lesser talents, and a decent spinner, was the difference. While England’s star batsmen (Cook and Root) underperformed, their other batsmen performed credibly. Their bowling wasn’t too bad either but unable to make the transition to Australian conditions, but their spinner (Moeen) disappointed, and who knows what might have happened if their star all-rounder, Stokes, had not been a naughty boy and allowed to play? Australia, with not one of their greater sides historically, was deserved winners, and it is a matter of giving credit where credit is due. As for Ashes series generally, I have been following these since I was a boy, when the Australians, under the late Richie Benaud, came to England and won the Ashes, although when they played my own county, Essex, they lost, and I was there to see Trevor Bailey hit the winning runs. There have been many memorable Ashes series since then, like the time when England played in Australia and were destroyed by their fast bowlers: Lillie and Thompson. But Botham’s Ashes, when what looked like disaster turned to triumph, and when we regained them under Vaughan and Flintoff, amidst tense finishes, both of these stand out for me. But overall Australia have edged it comfortably in terms of number of wins, helped by a period when they had one of the only two what I regard as great sides in Test cricket history in the time I have been around, with outstanding players in all departments. I’m not sure how many Ashes series I have left in me but I am hoping we can regain them next time. 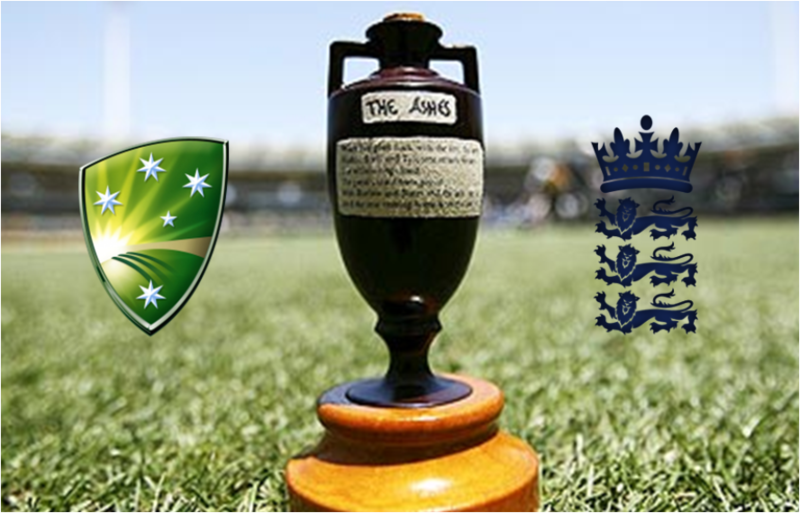 Update 08/01/18: Having lost the Ashes 3-0 with two more matches to play it was tempting to see these last two matches as a series in itself, with little for England to play for other than pride. I wake up to learn we have been comprehensively beaten in the final test and but for a draw in the previous test it would have been a complete whitewash. Actually, the English might have considered themselves unlucky not to win the fourth test as they were in the ascendancy and were denied by the rain. While I do not rate the Australians as a great side based on this series, they are a good one that can only get better and outperformed the English, who to their credit did not throw in the towel and showed many good individual performances, but it was not enough. Life goes on and there is the one day series to look forward to and of course the next Ashes! Update 28/01/18: I write just as England have completed a phenomenal victory against a good Australian side in the one day series (4-1), convincing in all departments of the game and with a lot of new players coming into the frame. It goes to show how quickly things can change, all of which bodes well for the future. Granted ODI is not the same as Test cricket and is not my favoured form of the game, but a notable victory none the less. Well played England!